String Lights looks beautiful when they glow in dark but what if they are so attractive that they can look beautiful during daytime as well. This holiday get creative with the lights, add different shapes, colors, themes, to your home. 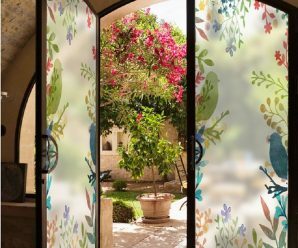 You can add them outdoor as well as indoor because they are in so beautiful shapes and patterns that even without glowing they add beauty to your home. Some of these string lights are holiday themed like maples, snowman, gingerbread man, snowflakes, pumpkins etc. 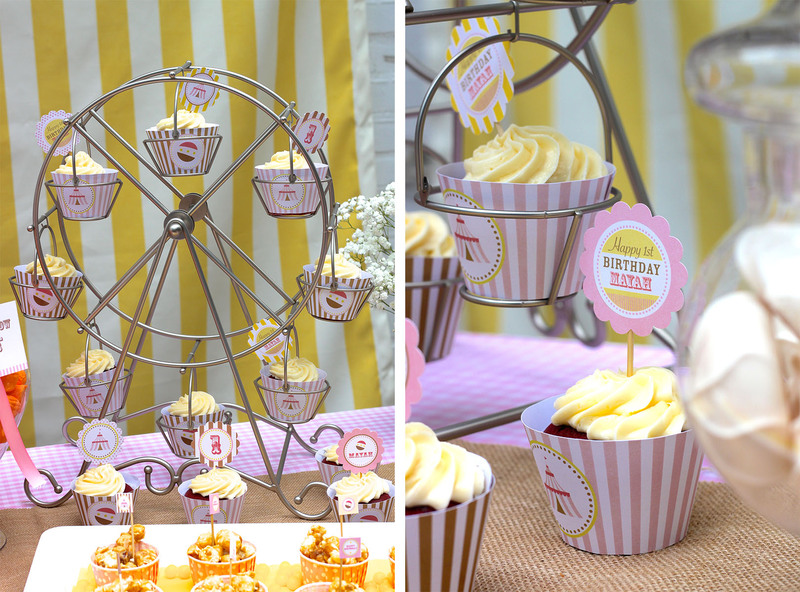 while others are general themed which can be used according to the party theme or interior of your bedroom or living area all over the year like stars, flowers, lantern, umbrella, palm tree, lighthouse, leaf etc. 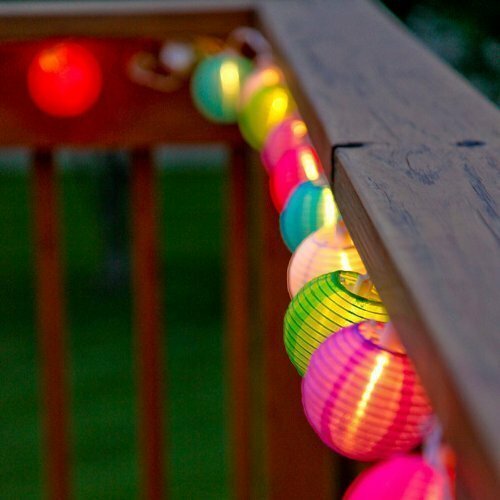 You can add them to your balcony, patio, and other outdoor features, or add the whimsical glow of bright and colorful fairy lights in a window or hall, and let the magic of light enchant you throughout the year. We collected a wide variety of Holiday Lighting and String Lights both for indoor and outdoor decoration from Amazon. 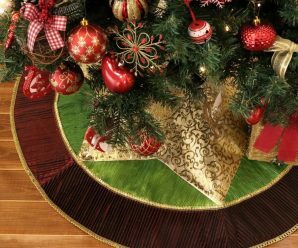 Select them for Holidays, parties, interior decoration as well as outdoor decor. 1. 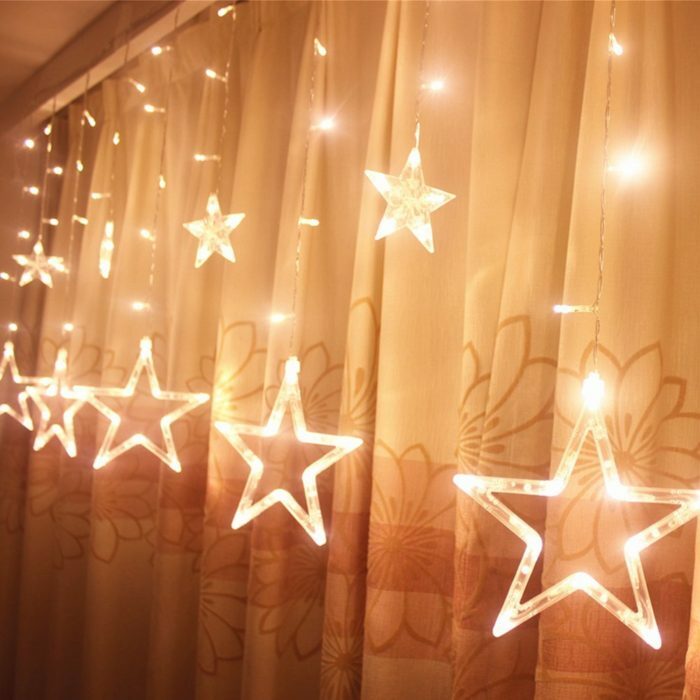 Star Curtain Lights: Star Curtain Lights brighten up the happiness atmosphere inside or outside. These can be put or hung on walls, windows, doors, floors, ceilings, grasses, Christmas trees, etc. 2. 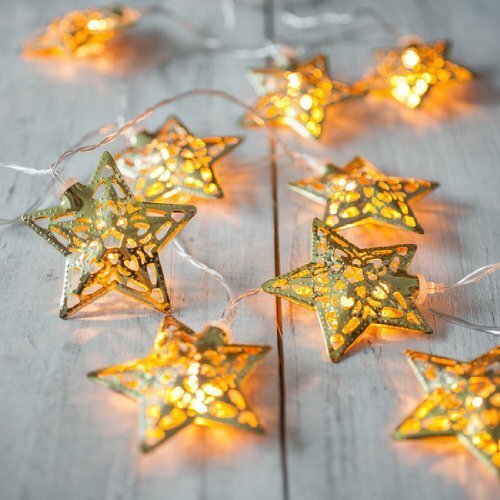 Indoor String Lights: This is an wonderful string light Five-pointed Star styled which gives out charming warm White light at night. Great for decorating your parties. 3. 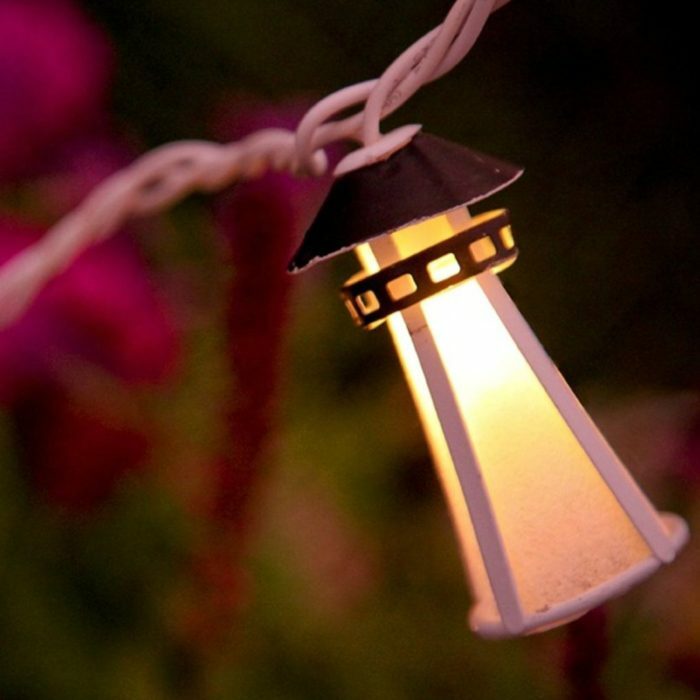 Solar Outdoor String Lights: Enchant your backyard patio and garden path with this outdoor Solar patio string lights. 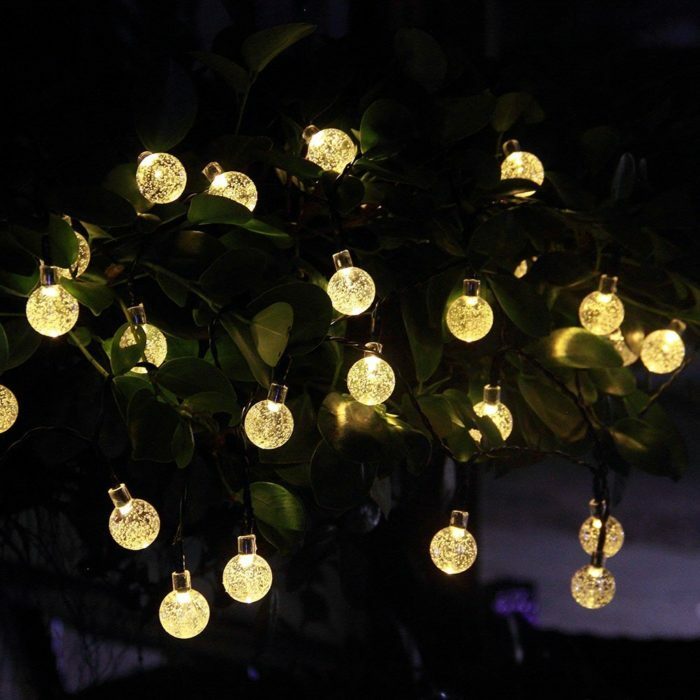 You will wonder how to light up your home with this crystal ball string lights. 4. Holographic Star Battery: This Holographic Star Batteries are perfect for almost every occasion, string them along the top of a door frame, line them up on a table, or scatter them among the grass at the entryway for your next backyard get together. 5. 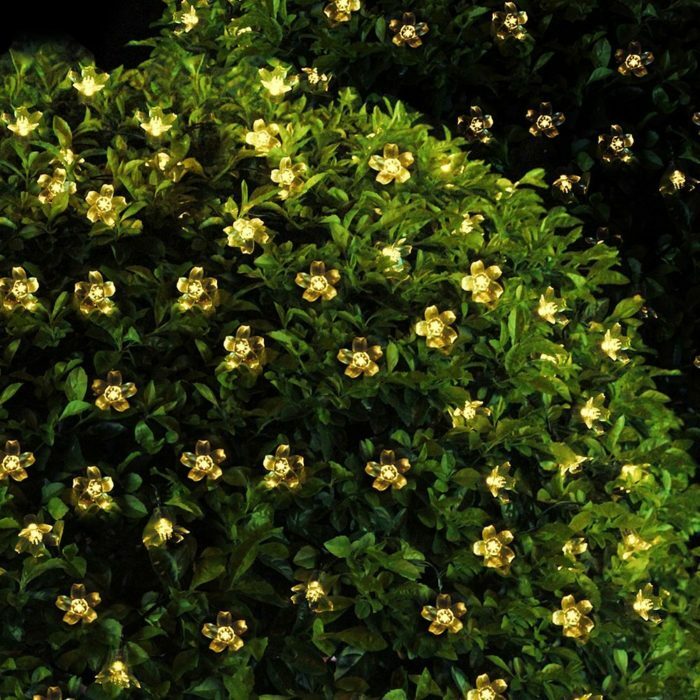 Blossom Flower Fairy Lights: Blossom Flower Fairy Lights is another great set of solar lights. I really like the floral shape and size. 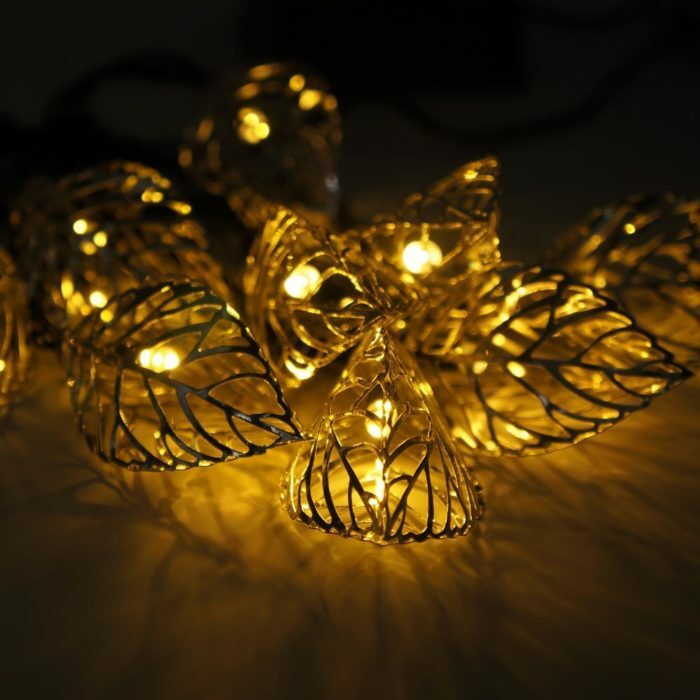 These are lovely little lights with a soft yellow glow that look good on or off. 6. 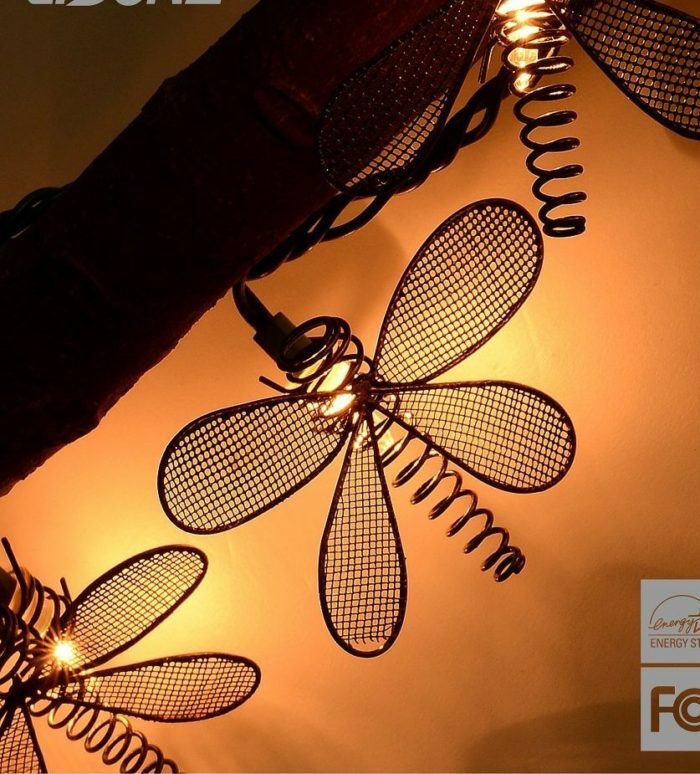 Solar Fairy String Lights: These Solar Fairy String Lights are Solar Powered LEDs, No utility energy costs, no Wires need, easy to install Buit-in rechargeable eco-friendly battery. The lights turn on automatically at Dusk. 7. 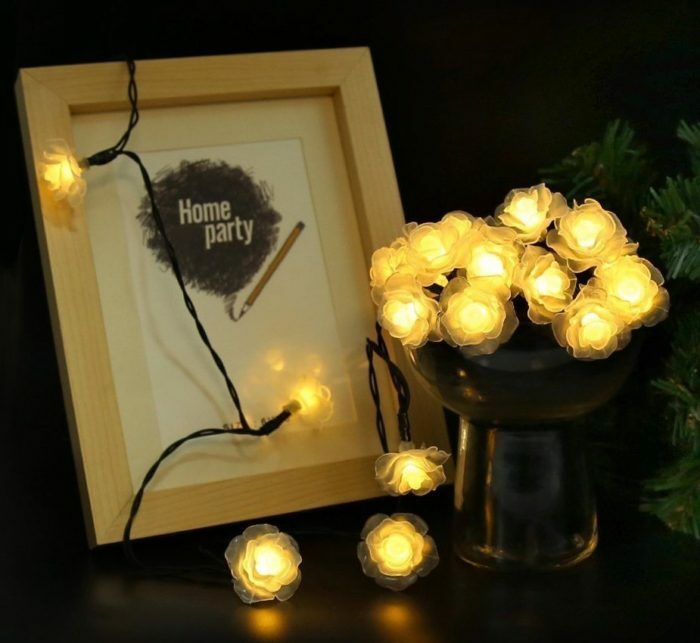 Vintage Style String Lights: Vintage Style String Light is the excellent decoration. You can install them anywhere, not only on your home. You will be able to benefit of their light nature effect on holiday, celebrations and weddings. 8. Elegant Decorative String Lights: These Decorative String Lights create the elegant and romantic ambiance for a starry night. Perfect lighting for outdoor entertaining, BBQ, poolside parties, special celebration, or simply relaxing under the stars. 9. 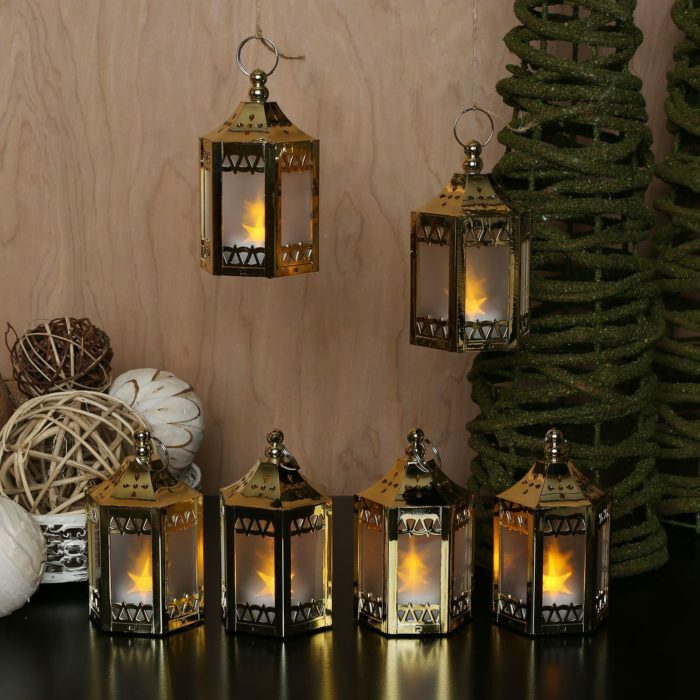 Lanterns String Lights: These little lights are just perfect for creating an inviting ambiance. They throw off that perfect, warm glow light and create dramatic and interesting shadows with their mesh lantern designs. 10. 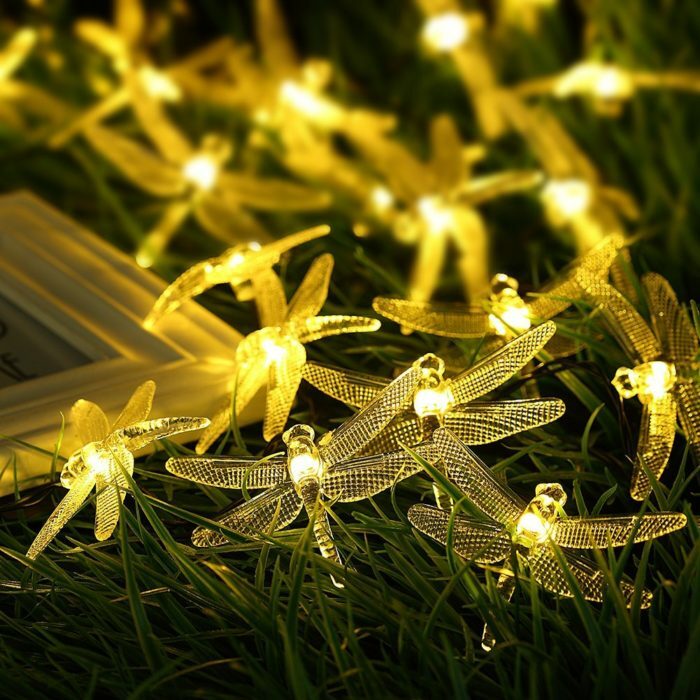 Dragonfly Solar String Lights: Dragonfly Solar String Lights are so beautiful and the perfect amount of lighting to stand out and catch eyes! You can put these around table wich holds plants and it looks stunning. 11. 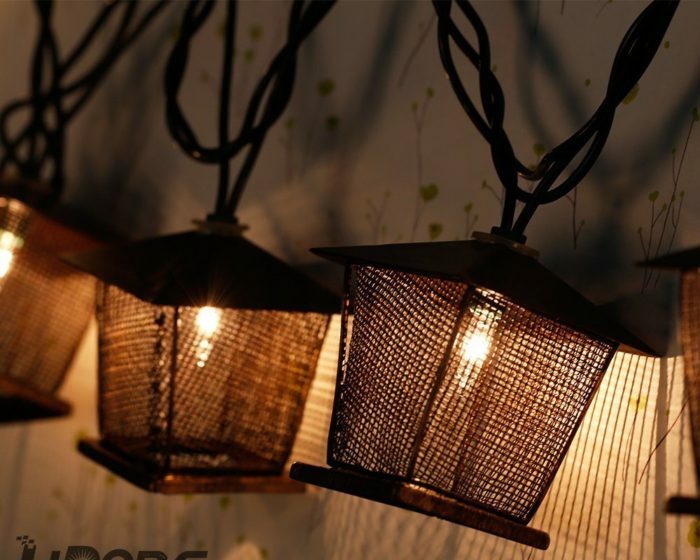 Caged Lantern Lamp: Light Up the Night with these Caged Lantern Lamp String Lights. Indoor or Outdoor Use. 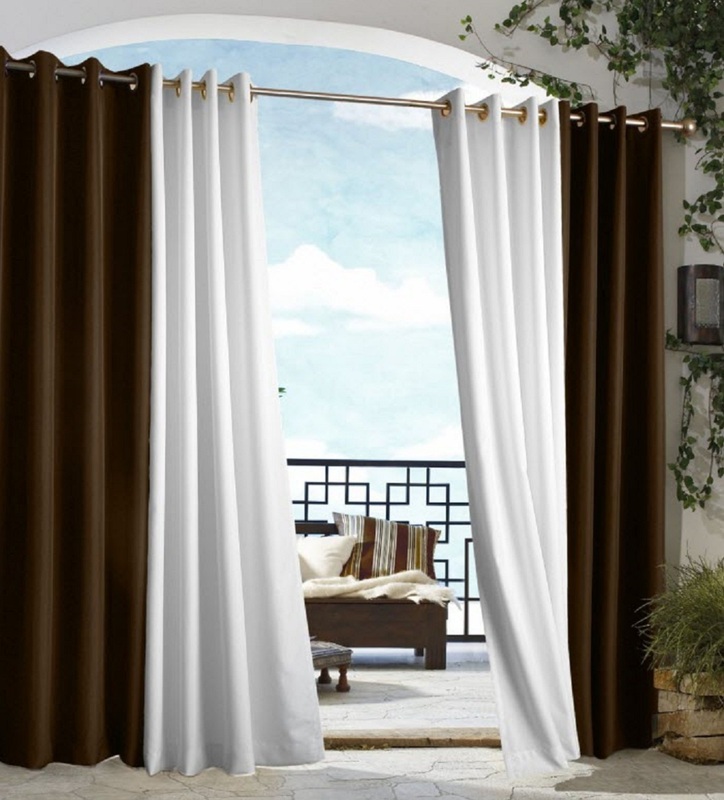 These are great for patios, decks, dorms, parties, backyards, or bedrooms. 12. 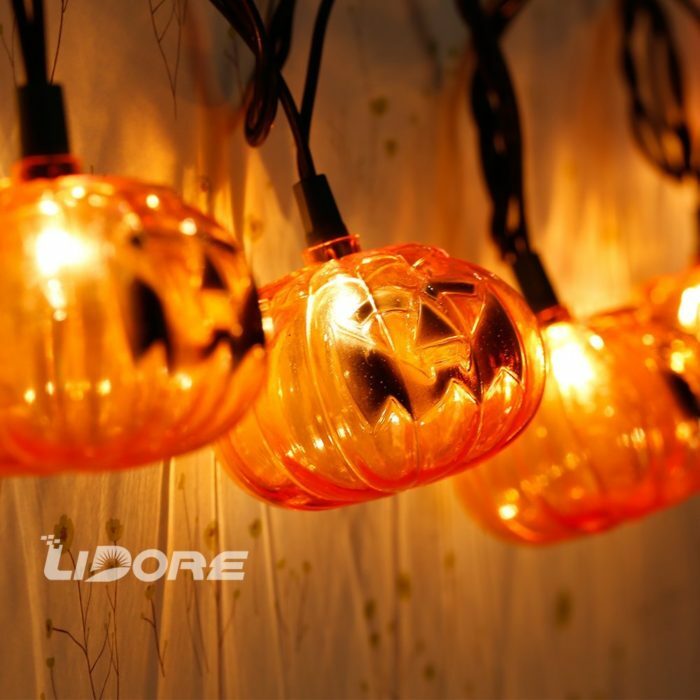 Pumpkin Decoration String Lights: Distinctive smiling face pumpkin shaped add a Halloween spirit to any rooms. So easy to create “festival atmosphere” anywhere. 13. 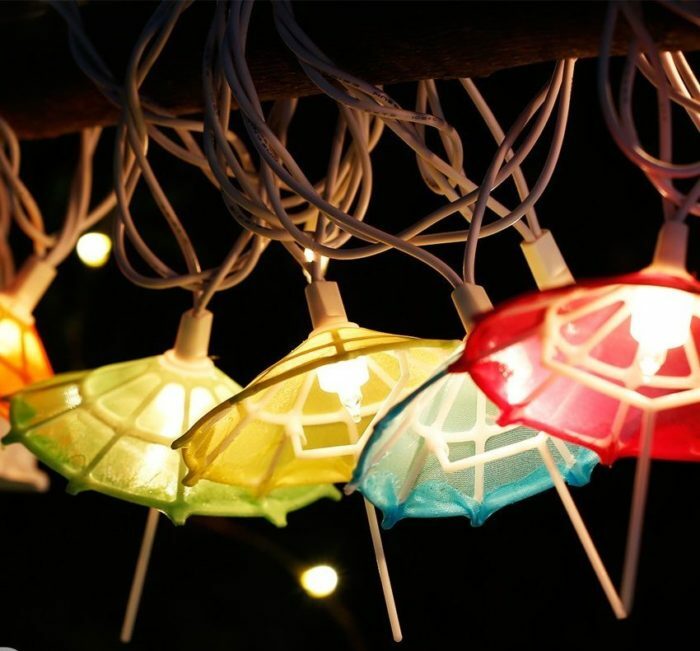 Umbrella shaped String Lights: Perfect for indoor decoration or other party/luau celebration occasions. 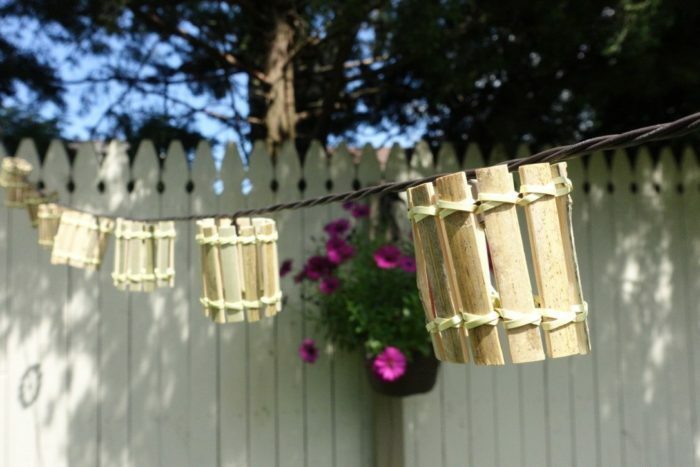 Also Use inside in the bar, tavern or restaurant area to add some atmosphere, or string along your porch, deck or patio for a fun, sea side touch. 14. 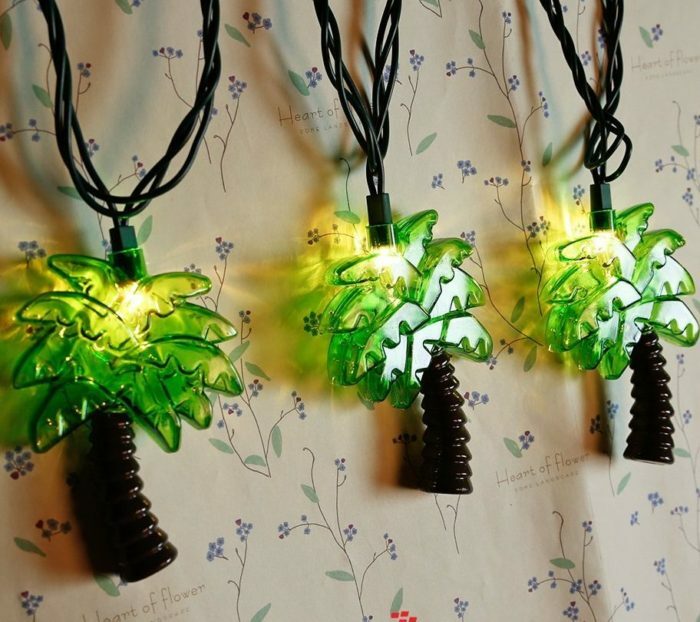 Palm Tree String Lights: These lights are soooo cuteee. Just great for indoor halloween decoration. They are very pretty when not lit, and even prettier when lit. 15. Lighthouse String Lights: These beautiful plug-in lights are weatherproof and look fantastic whether hanging outdoors, on your patio or in any room in the house. 16. 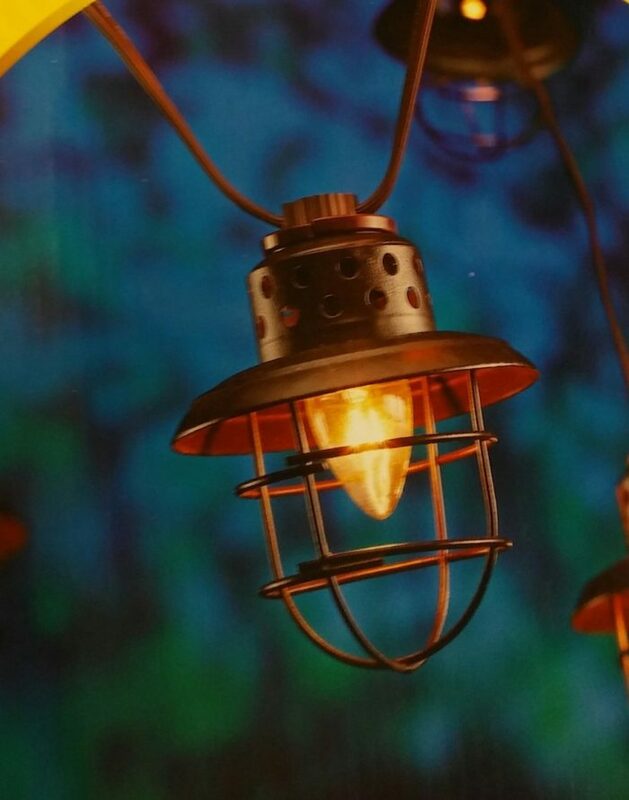 Tree Leaf Solar String Lights: Tree Leaf Solar String Lights are uniquely Lanterns designed string lights, environment-friendly powered by solar with a high-performance solar panel kit, energy-saving and eco-friendly. 17. 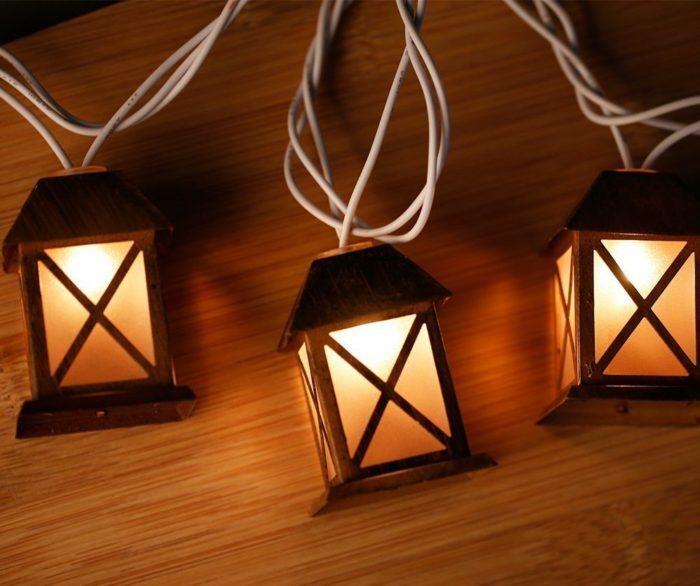 House Shaped Lantern String Light: Simple way to create “antiques style” anywhere. 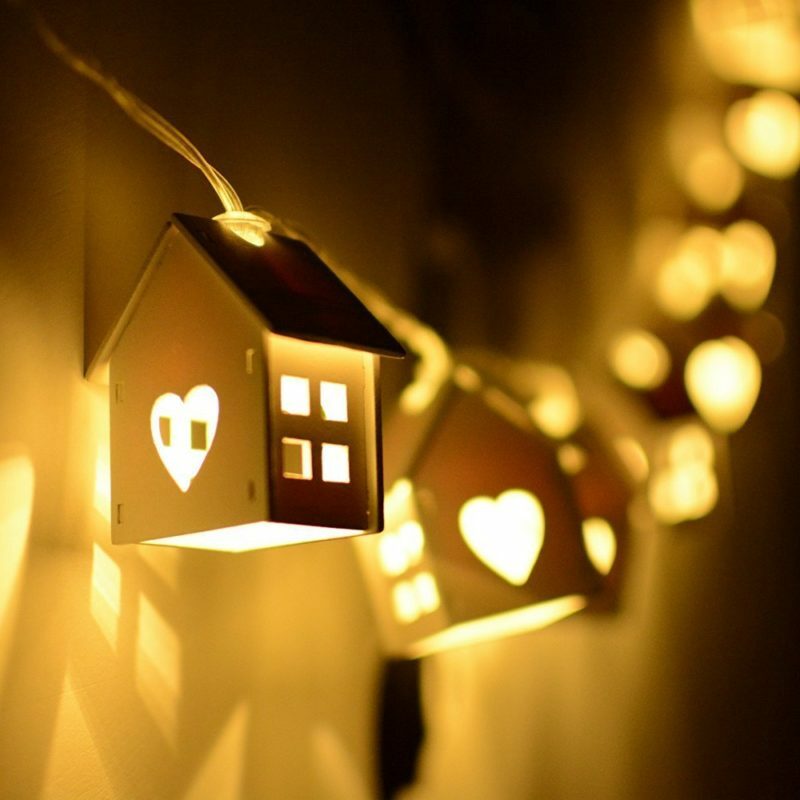 The charming lights make around more beautiful at night and adds perfect atmosphere to your place. 18. 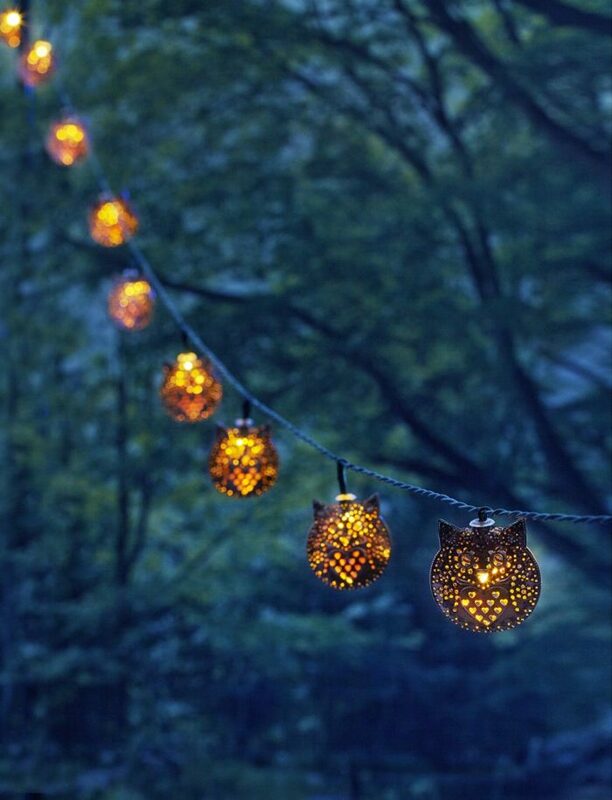 Owl String Lights: Owls String Lights are designed to illuminate your outdoor walkways and decks, all while adding extra safety and security to your home.The led string lights provide a warm white light. 19. 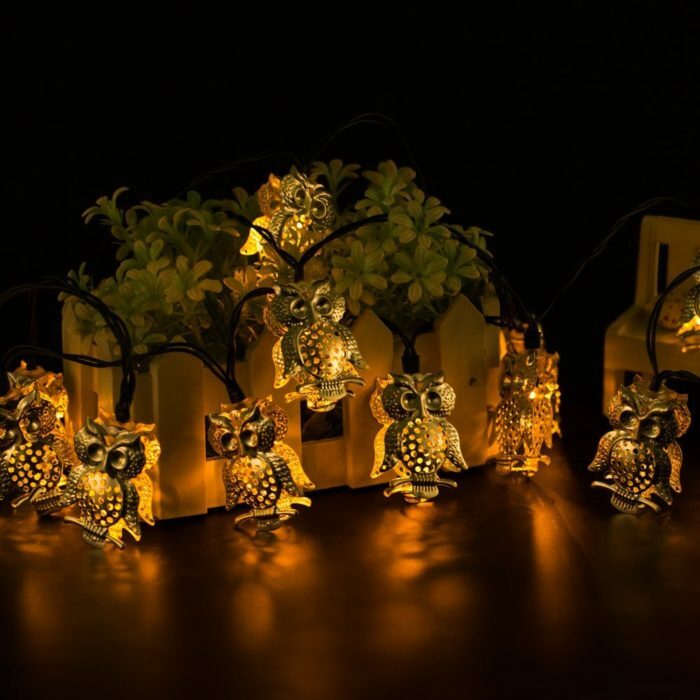 Owl Shape Solar String Lights: These are pretty cute owl lights. These lights operate in two modes, one is constant light and the other is blinking at about a medium speed. 20. 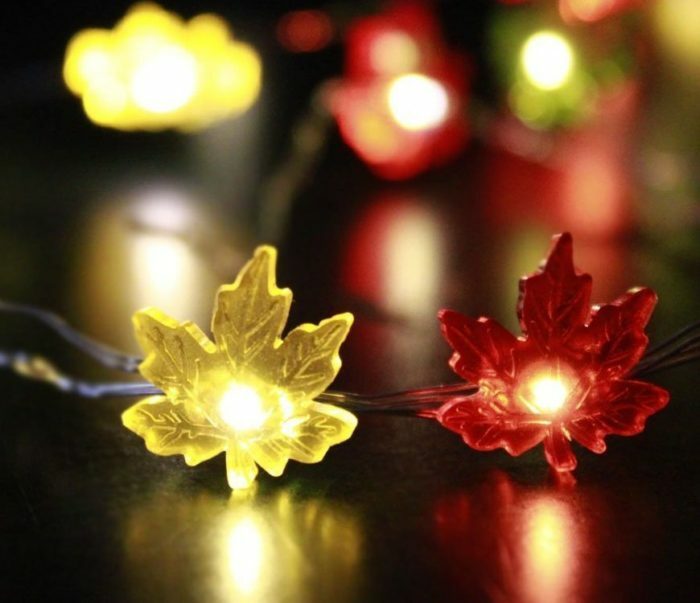 Maple Leaves Fairy String Lights: These Maple Leaves Fairy String Lights are different from traditional string light, and these copper string light is lighter, safer and prettier. 21. 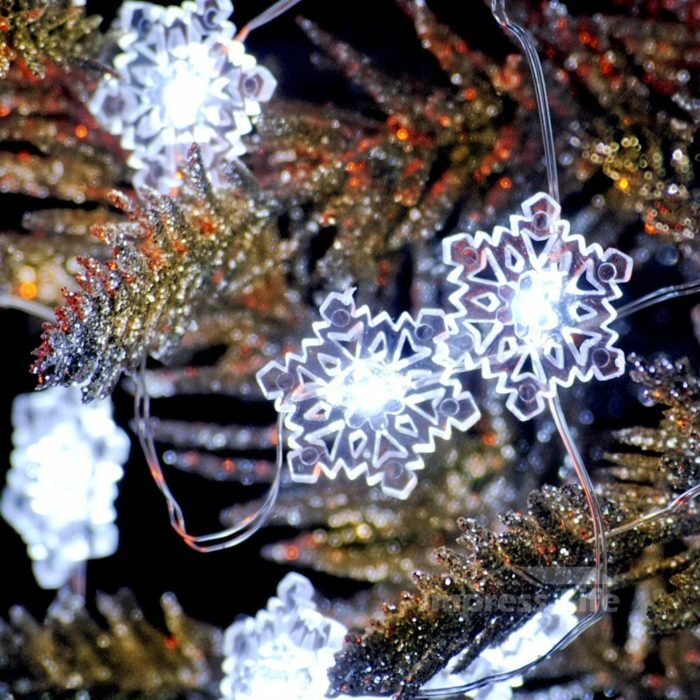 Snowflake String Lights: Snowflake String Lights are just so nice! 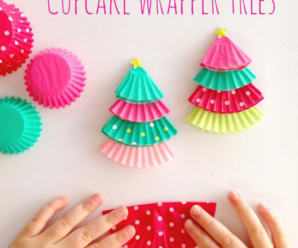 They make a nice addition to any holiday tree. These are perfect for autumn arrangements such as centerpieces and mantles. 22. 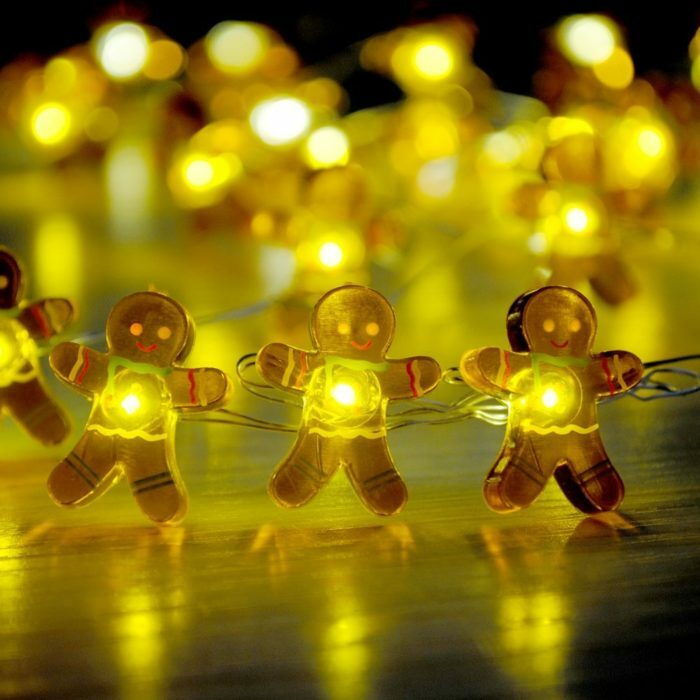 Gingerbread Man String Lights: Gingerbread Man String Lights are very cute and made very well. These lights will be cute on a small table tree since they are mini lights, but they are very bright and on a clear cord. 23. 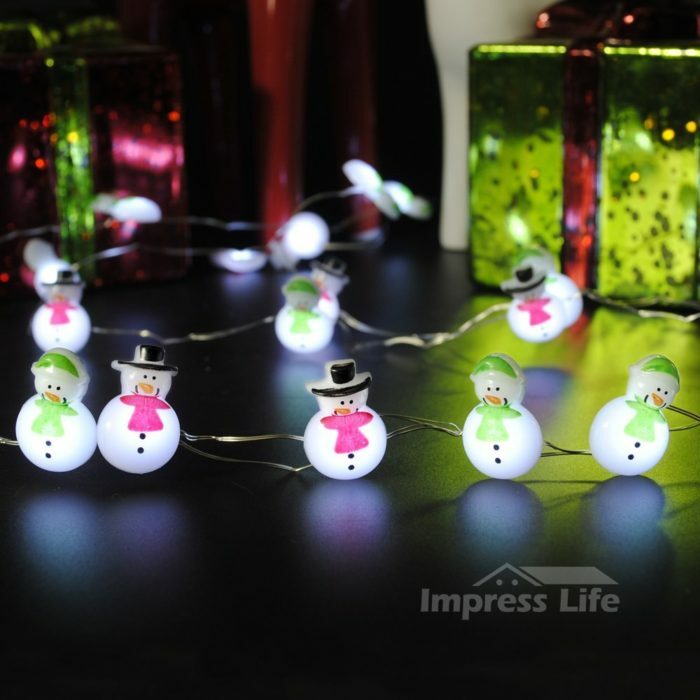 Snowman Couple String Lights: Really cute and nice Snowman Couple String Lights. Is a line of little snowmen in different colors to put on your Christmas tree or another place you want to decorate. 24. 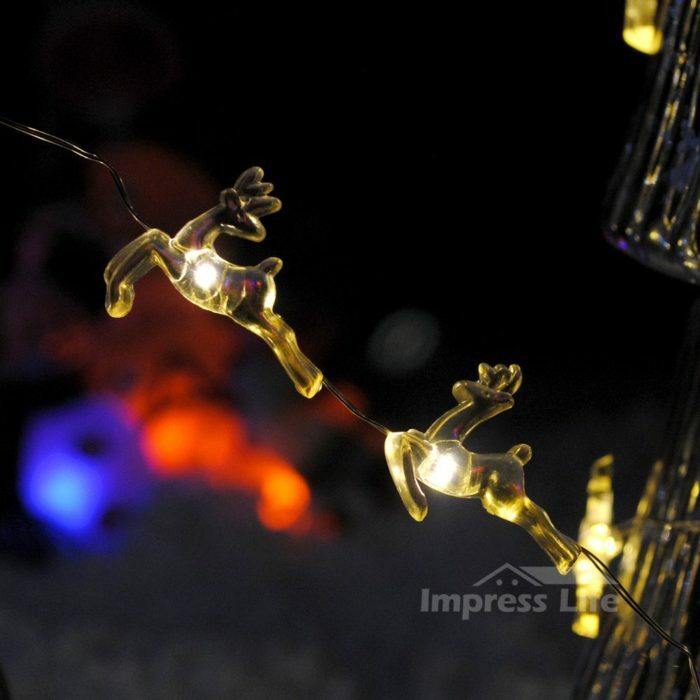 Reindeer Couple String Lights: These reindeer lights looked great, give off a very nice glow. This is quite and elegant, cute and well designed. 25. 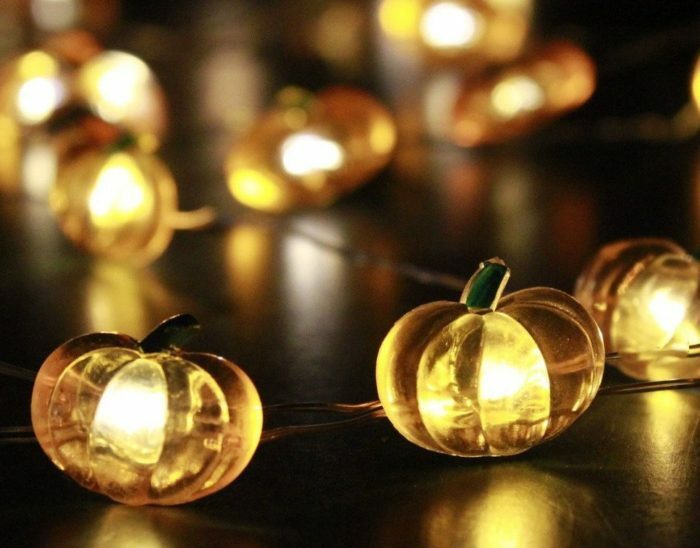 Harvest Pumpkin String Lights: Harvest Pumpkin String Lights bring a smile to everyone who figures out what they are. They are quite small so, but up close they are adorable. 26. 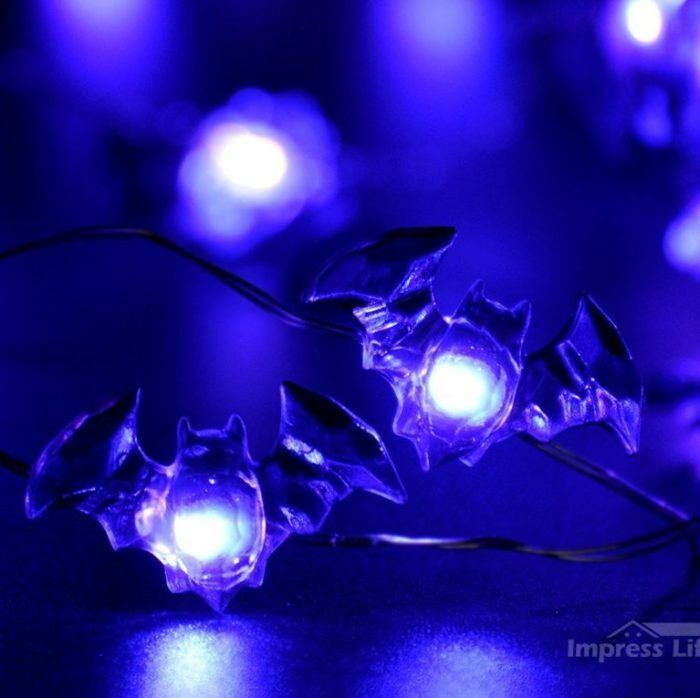 Batman String Lights: Batman String Lights can use for indoor or outdoor. They also have a built in timer so they shut off after 6 hours. They would look wonderful just about anywhere though, as a centerpiece. 27. 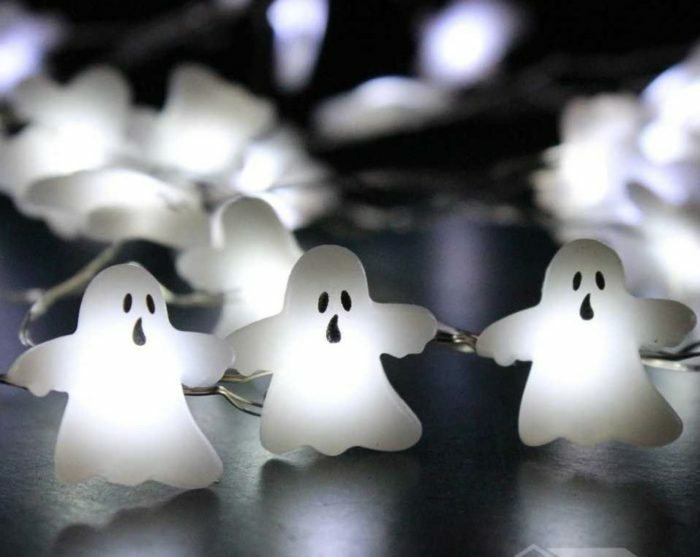 Ghost String Lights: Ghost String Light is so wonderful for wrapping around other items or shaping into specific spaces. where it much easier holds into the place you want it. 29. 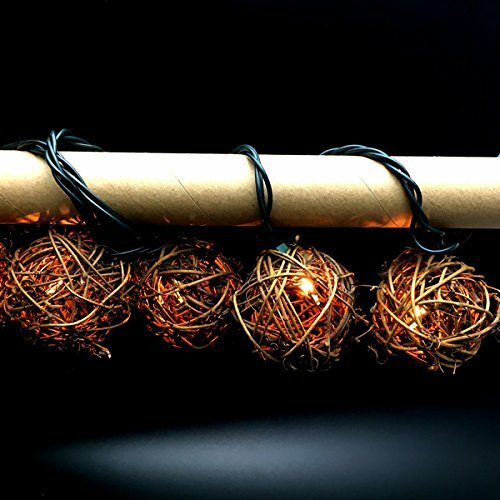 Brown Rattan Ball String Lights: Rattan ball is pure handmade. You will be able to benefit of their light nature effect on holiday. Your home decoration will become alive. 30. 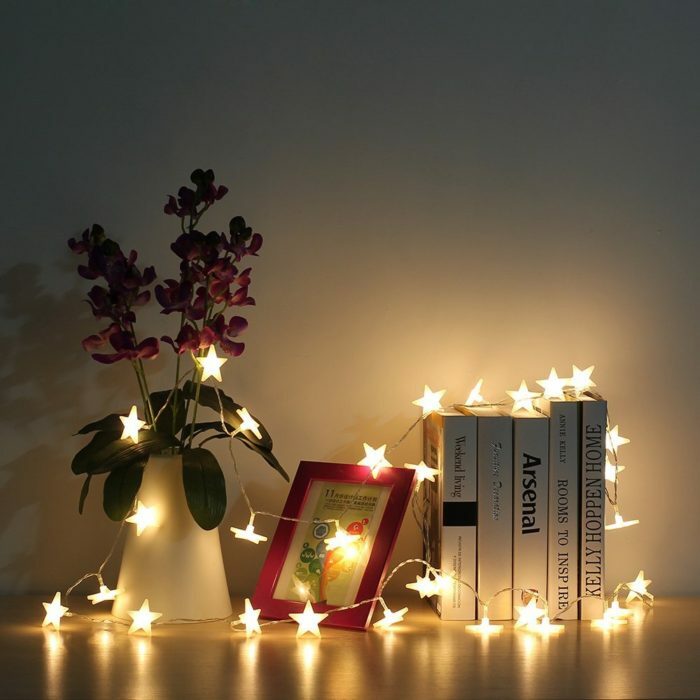 Star String Decoration Light: Star String Decoration Light on a lightweight clear cable. Each star contains one warm white LED, which creates a gorgeous shadow effect when turned on. 31. 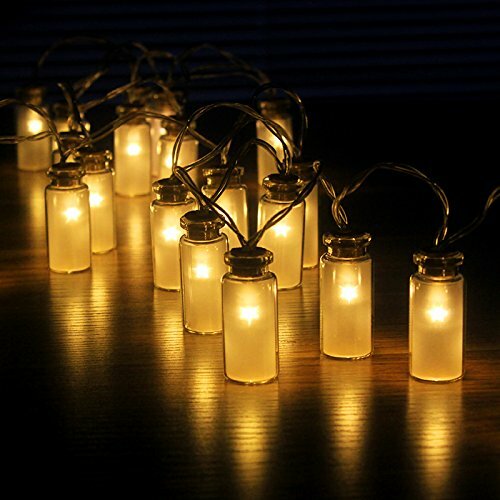 Glass Jar Fairy Lights: Glass Jar Fairy Lights are super cute adorable lights. Each light has it’s own little bottle with a cork in it. The lights when lit look like they have a star in them. 32. Lantern Ball Lights: These lantern balls come in four colors. They are red, yellow, blue, and green. The colors are vibrant. These lanterns are sweet and colorful.